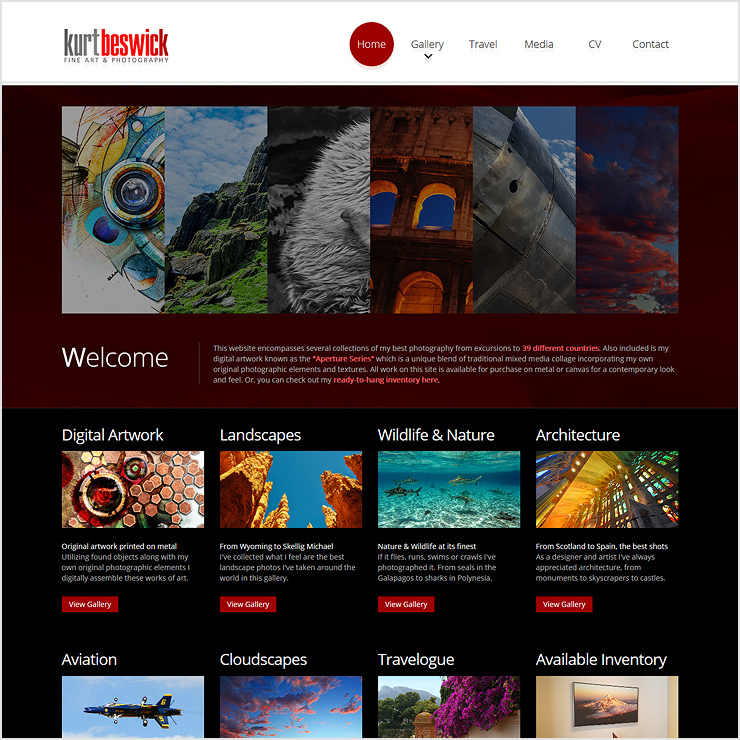 This site showcases the original artwork and travel photography of Kurt Beswick, the owner and creative director of redGiant Creative. Kurt's art and photography has been featured in Photoshop User and Design Graphics magazines. His artwork has also been showcased in multiple galleries and wine bars across Texas, New Mexico and Utah. This project included a highly customized responsive bootstrap framework for a good viewing experience across a variety of devices.